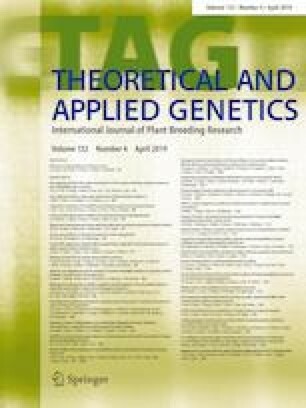 Genetic mapping identified large number of epistatic interactions indicating the complex genetic architecture for stem rot disease resistance. Groundnut (Arachis hypogaea) is an important global crop commodity and serves as a major source of cooking oil, diverse confectionery preparations and livestock feed. Stem rot disease caused by Sclerotium rolfsii is the most devastating disease of groundnut and can cause up to 100% yield loss. Genomic-assisted breeding (GAB) has potential for accelerated development of stem rot resistance varieties in short period with more precision. In this context, linkage analysis and quantitative trait locus (QTL) mapping for resistance to stem rot disease was performed in a bi-parental recombinant inbred line population developed from TG37A (susceptible) × NRCG-CS85 (resistant) comprising of 270 individuals. Genotyping-by-sequencing approach was deployed to generate single nucleotide polymorphism (SNP) genotyping data leading to development of a genetic map with 585 SNP loci spanning map distance of 2430 cM. QTL analysis using multi-season phenotyping and genotyping data could not detect any major main-effect QTL but identified 44 major epistatic QTLs with phenotypic variation explained ranging from 14.32 to 67.95%. Large number interactions indicate the complexity of genetic architecture of resistance to stem rot disease. A QTL of physical map length 5.2 Mb identified on B04 comprising 170 different genes especially leucine reach repeats, zinc finger motifs and ethyleneresponsive factors, etc., was identified. The identified genomic regions and candidate genes will further validate and facilitate marker development to deploy GAB for developing stem rot disease resistance groundnut varieties. The online version of this article ( https://doi.org/10.1007/s00122-018-3255-7) contains supplementary material, which is available to authorized users. This project was supported by the National Agricultural Science Fund (NASF) of Indian Council of Agricultural Research (ICAR), New Delhi, India. The help rendered by Ms. Vanika Garg in sequence analysis is thankfully acknowledged. The sequencing work reported in this article was undertaken as a part of the CGIAR Research Program on Grain Legumes and Dryland Cereals (GLDC). ICRISAT is a member of the CGIAR. This study does not include human or animal subjects.